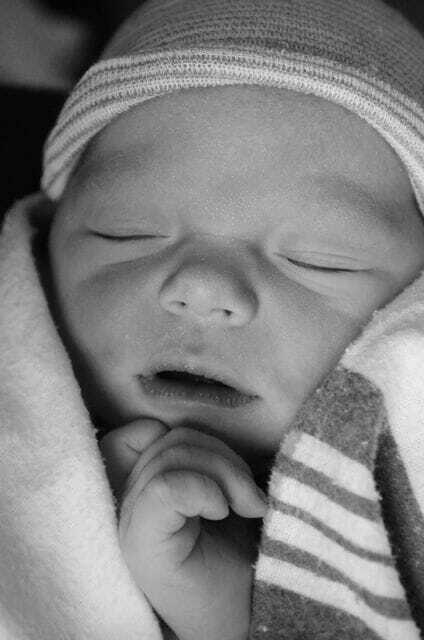 I became a mother at 4:23 in the morning on November 11th. I have been a mother now for a total of five months and 15 days. These mothering days have been filled with the bliss of getting to know this miraculous and adorable little person, kissing soft cheeks, imitating her sweet cooing sounds, making sure she is fed, clothed, and most of all, loved. Although I recognize some of these questions as my Orphans speaking, I also know that there is a village of mothers that surrounds me, of whom I can ask these questions. I began going to a wonderful class for new moms of infants at a local center called Birthroots. It is a place for community connection, where mothers and families can go to meet new people, and seek support as they begin the journey into motherhood. In my specific class for 0-3 month-olds, Ifound myself sitting in a cozy circle with ten other mothers and their babies, and after only two minutes of hearing some of the other moms speak, I knew that all the questions that I had were completely normal and very common. Here I am, learning to do this yet again. As we went around the circle, telling our stories of birth and our struggles of daily life as a new mom it became clear that there are not exact answers to all of the many questions that I had about taking care of my daughter, at least not answers that were true to all babies of this age. The one answer that I kept on getting from the other moms, and from our group facilitator was to “listen to your baby, and trust your instincts as a mother.” There was that word trust again. I used that word so often on my journey to conceive our child. 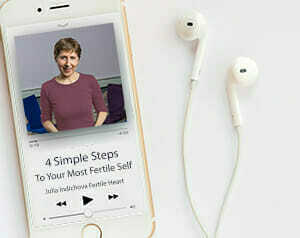 I learned to trust my body and the fertility expert within me. During my labor, I trusted that my body wouldn’t give me pain I couldn’t handle, and I ended up with the natural birth I had so desired to have. And now, as a new, happy, and fearful mother, I am learning once again to trust my ultimate mom to do what is right for my unique daughter. It seems like everyone has a bit of advice for a new mom, tricks to get the baby to take a pacifier, or sleep through the night, take longer naps, or stop crying in her car seat. Often the advice is different from one person to the next, yet each person seems so confident in her own opinion. This has been yet another indicator for me that many of the answers to my questions can be found from within, as long as I can trust myself and trust in the love I have for my daughter. Wonderful Mandy! Congratulations again on your little one! Trusting the authority within – how wonderful that you were able to do that to help you conceive and have the vision that it is helping you now. The best to you and your little girl and thank you so much for your encouraging words.